We live and breathe music festivals, it’s our life, literally! 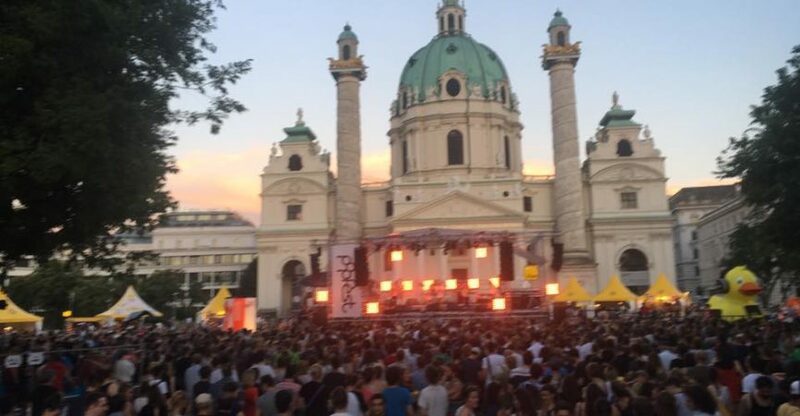 So it was only natural that we would stumble across a music festival called Popfest on our honeymoon in Vienna. As we walked around the venue located around historic buildings we took notice of a food vendor selling gourmet waffles. When the festival ended we couldn’t stop thinking how delicious that waffle was and how we could bring that concept back to the United States. That was how we created our latest two creations, Chicken and Waffles and Gourmet Waffles.